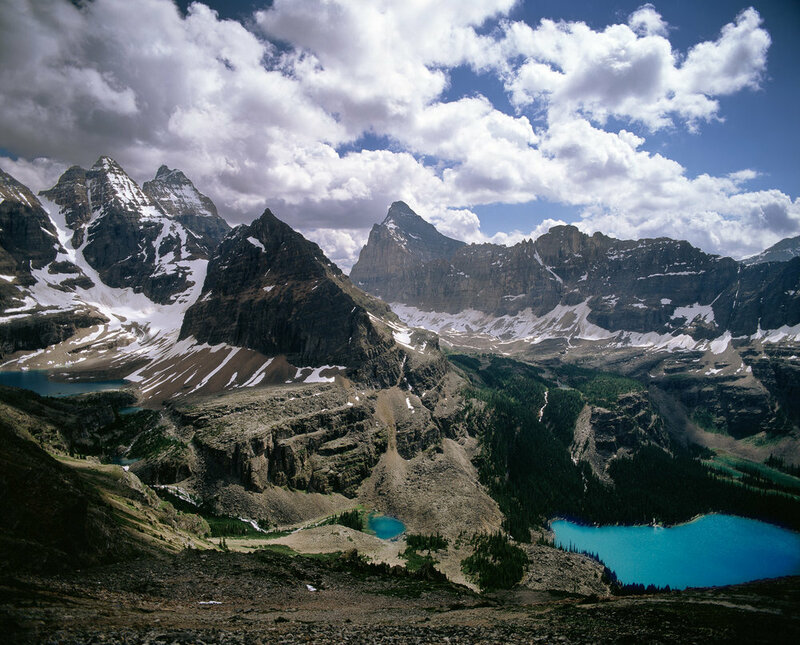 Lake O'Hara is a jewel nestled in the towering peaks of the Canadian Rockies. This very exclusive workshop is an unusual opportunity to experience a very secluded mountain alpine environment with a small group of only six guests. Lead by Michael Strickland and Noel Rogers, you will get professional guiding, instruction and experience in one of the world's most beautiful locations. We'll be visiting during the early summer when wildflowers are just beginning to bloom, snow is still clinging to the high peaks, and the days are long. You'll be up early and working in the low light of the northern dusk and dawn, when the light is soft and colorful. 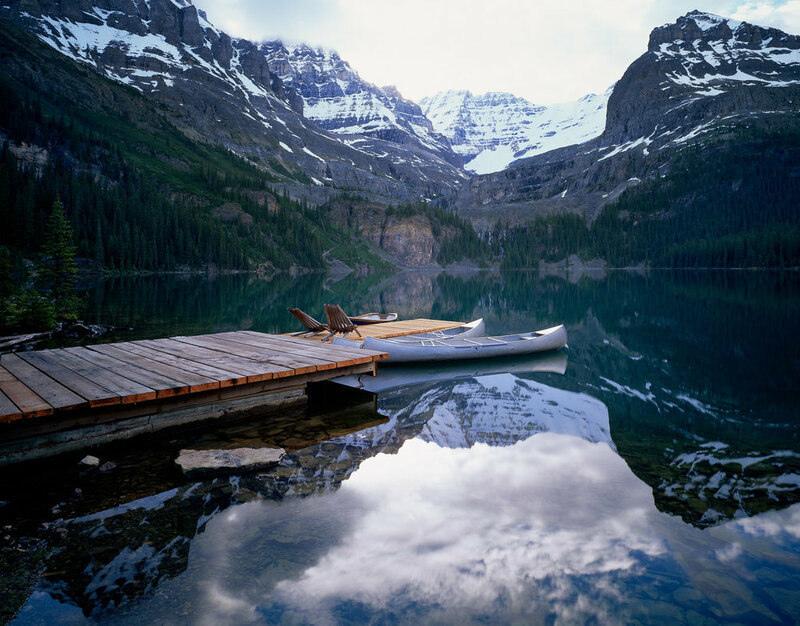 The Lake O'Hara lodge has an amazing dining room where we'll be treated to wonderful meals. Your accommodations are log cabins along the edge of the lake, and include a private bathroom. Bring your hiking boots and poles, as we'll be venturing out on the beautiful trails that surround this valley and make it so unique. We're also sure there will be times you'll want to simply sit on your porch and take in the beauty. June 18, 2019: 2:00 PM, meet in Calgary airport for a ride to Baker Creek Lodge, near Lake Louise. Check-in, dinner and sunset shoot near lodge. 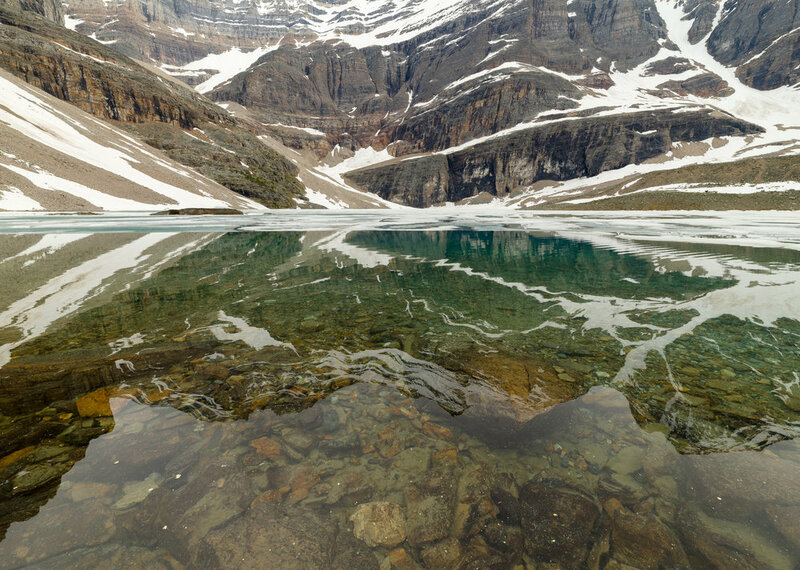 June 19–23, 2019: Early breakfast then drive to Lake O'Hara trailhead to catch the private bus to the lodge. We'll spend the following days exploring this amazing alpine wonderland where we'll have early morning shoots as well as late night, low light opportunities to photograph the spectacular mountains and lakes. 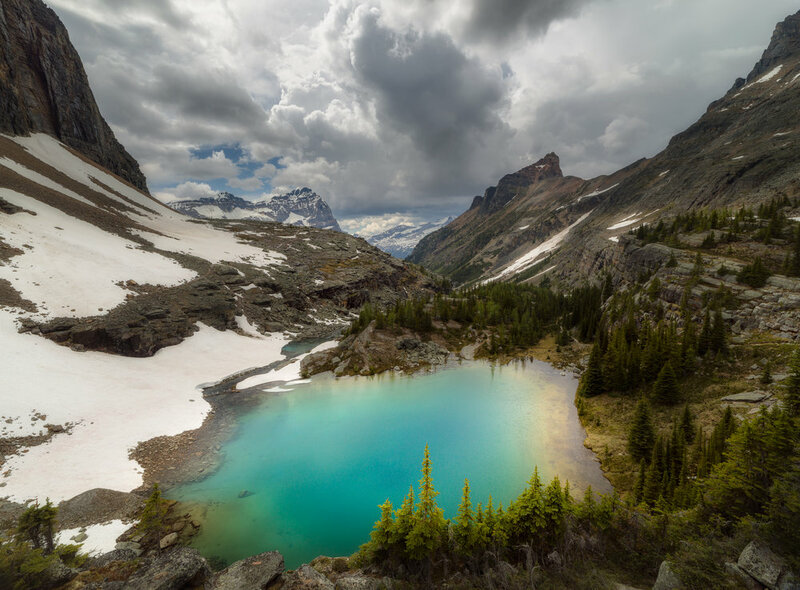 We'll spend the days hiking some of the surrounding trails, photographing ponds, waterfalls, lakes and steep and rugged mountains. June 23, 2019: Early sunrise shoot followed by breakfast. Sack lunches for our last hike into the alpine country prior to leaving on the last bus out at 4:00 PM. Once back at our van, we'll leave for the Calgary airport for flights out. We can arrange a room at the Calgary airport hotel if you need to fly out on June 24, 2019. Your deposit of $2,750 USD will secure your place in this workshop. The balance of $4,245 USD is due by March 1, 2019. All of our standard terms and conditions apply.